Taking driving into the 21st century with an app. Learn to Drive app you will be using the latest in learning resource available to leaner drivers. 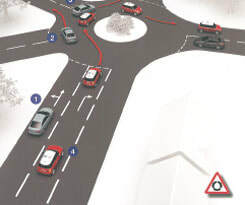 This app has over 50 animations in 3D video, showing you moving away, junctions, roundabouts and reverse manoeuvres to name just a few. ​Putting you in the driving seat! ​The app has been shown to improve student’s chances of passing first time. It gives you a deeper understanding of safety issues ensuring you will be safe and confident. ​Teaching someone else to drive? ​The app acts as a go-to guide to make sure the correct skills are taught. Written by a practising driving instructor with 12 years' experience of correct and current legislation it gives you peace of mind knowing that the hours you spend in the car will not contradict the driving instructor lessons or what is expected on test day..
​Fit it in to your lifestyle. ​Catch up on the bus, on your way to college, on your lunch break. Dip in and dip out to refresh and recap on tricky manoeuvres or sticking points identified in your lessons. ​Failed your driving test recently? ​Getting back in the driving seat after a knock can be challenging. However, you can isolate the area you failed in through the purchase of our tailored application. This helps you clarify precise situations and skills, offering repetition at a speed that suits you. ​After the free taster you can upgrade to the whole app for only £4.99. 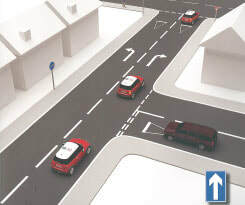 ​Junctions made easy Learn how to approach and emerge safely, step by step and with confidence. ​Essential Skills Avoiding crashing and keeping your wits about you – a clear guide to keep you in control and aware of danger. 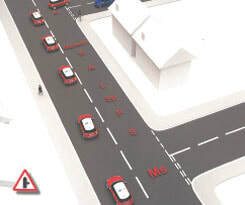 ​Crossings, traffic lights and slip roads How to meet traffic and understand who has priority.